There's been a lot of changes with the grocery chain known as Fresh & Easy. From being sold in the later part of 2013 to their recent collaboration with Wild Oats, Fresh & Easy is refocusing on what consumers really want by "making fresher easier." I recently met with the Fresh & Easy team here in Phoenix to get a better understanding of what's new in the stores; below are a few of the cool things I learned. 1. Most stores are now open 6am to midnight and some are even open 24 hours. 2. Grab & Go breakfast items are now available. Items include: egg white bowls, burritos, and yogurt parfaits. 3. 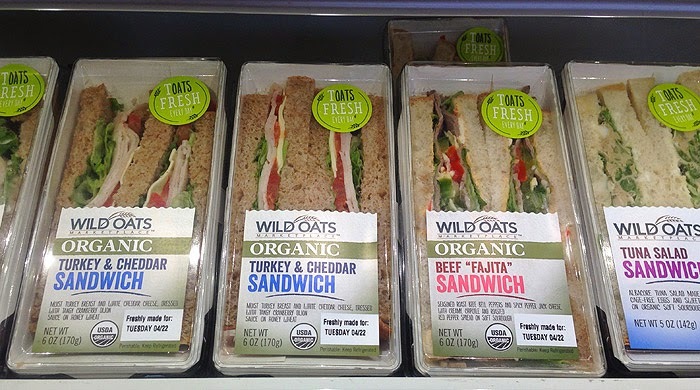 Thanks to their partnership with Wild Oats, Fresh & Easy is now the only grocery chain that offers an organic line of Grab & Go sandwiches. 4. Wine has been pared back slightly; but don't worry there's still a great selection. 5. All Grab & Go items are now located in the front of the store for convenience. 6. 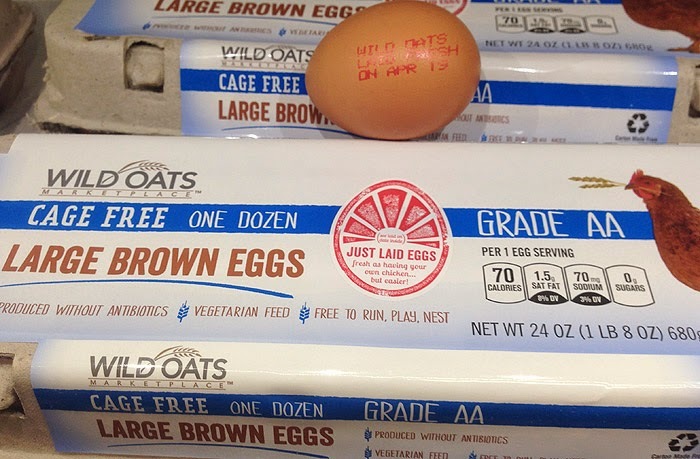 Eggs are dated and labeled with a just been laid stamp and are sold within 72 hours of that date. 7. All packaged meals are hand made by the Fresh & Easy team each day. 8. All Fruits & vegetables are being delivered daily, guaranteeing you get the freshest possible each day. 9. You can now purchase a single serving size of your favorite fresh soup. 10. Rest assured that with all these changes, prices still remain the same.